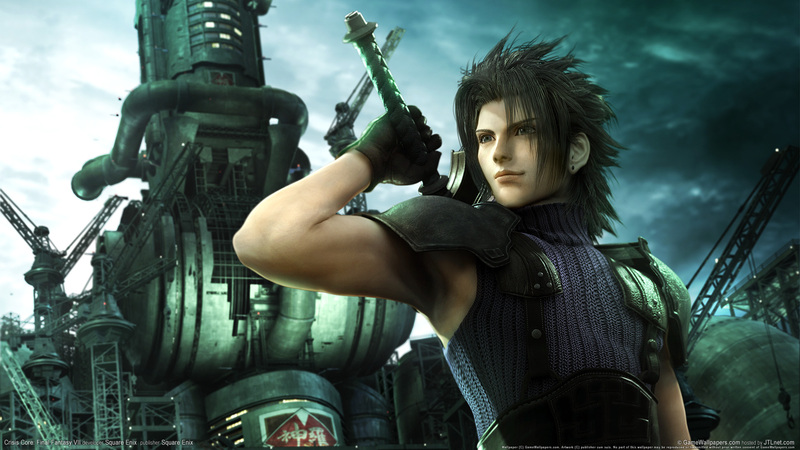 Краткое описание: Seven years prior to the events of FINAL FANTASY VII, the Shinra Company is finalizing construction of its base and symbol of prosperity: the enormous city of Midgar. 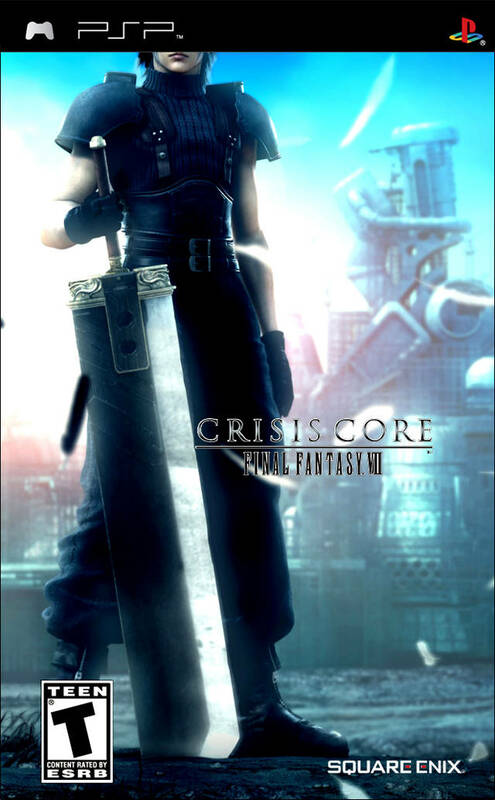 When Genesis, a prominent SOLDIER 1st Class in Shinra's private army disappears with his contingent, young prodigy Zack is given the task of seeking him out. The story continues where it all began in an enthralling prelude to one of gaming's greatest sagas. 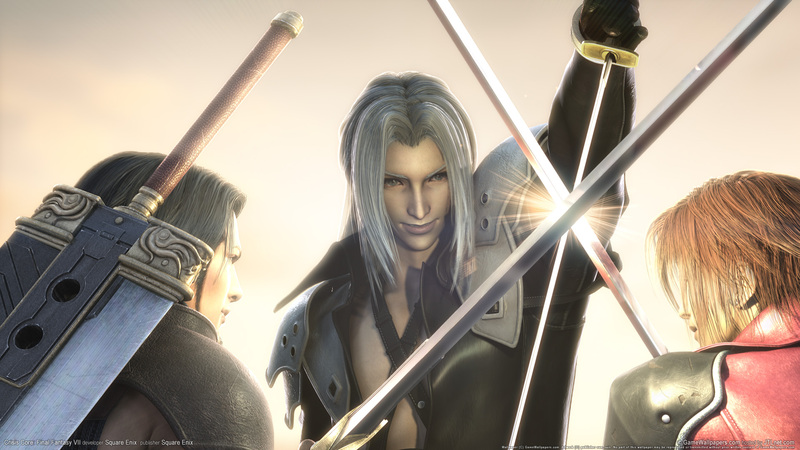 -The exciting prequel to FINAL FANTASY VII uncovers the origin and secrets behind some of the most popular characters in SQUARE ENIX history. 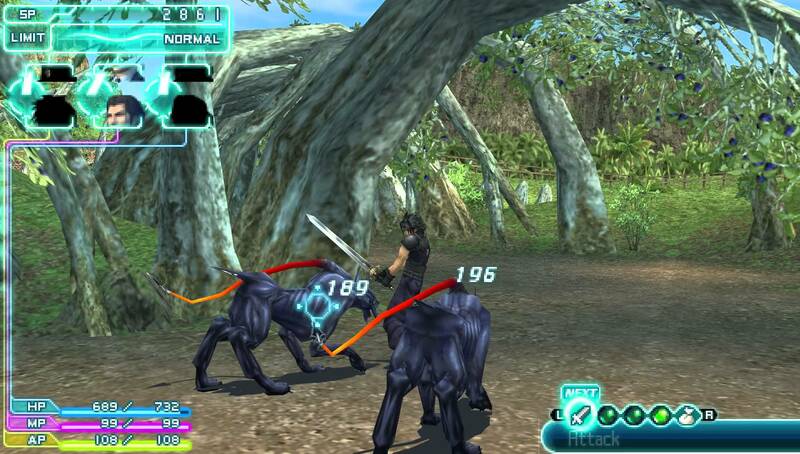 -Home console-quality graphics on a portable platform. 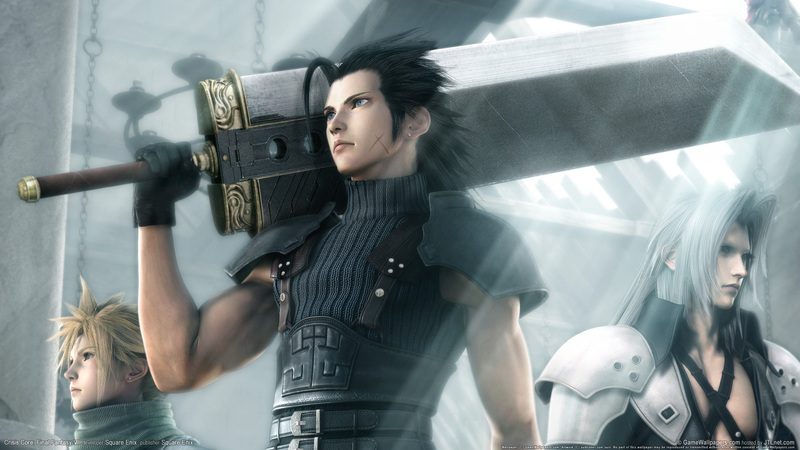 Stunning, state-of-the-art visuals bring the FINAL FANTASY VII universe to life on the PSP & reg; system. 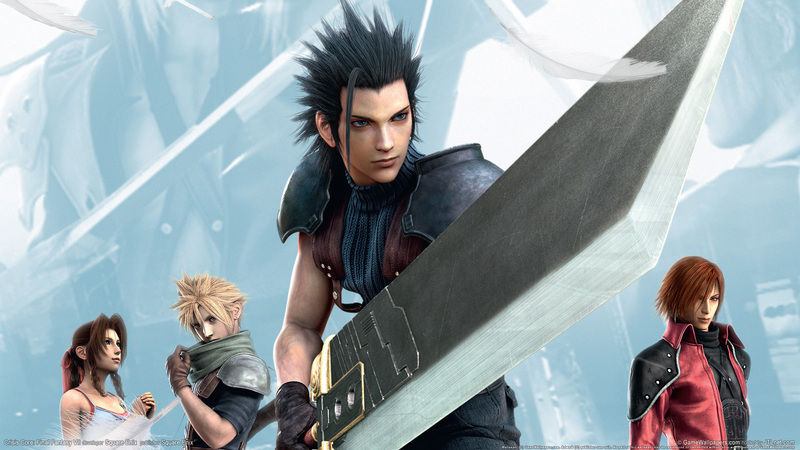 -A blend of action and RPG elements provide for a completely new FINAL FANTASY VII experience. 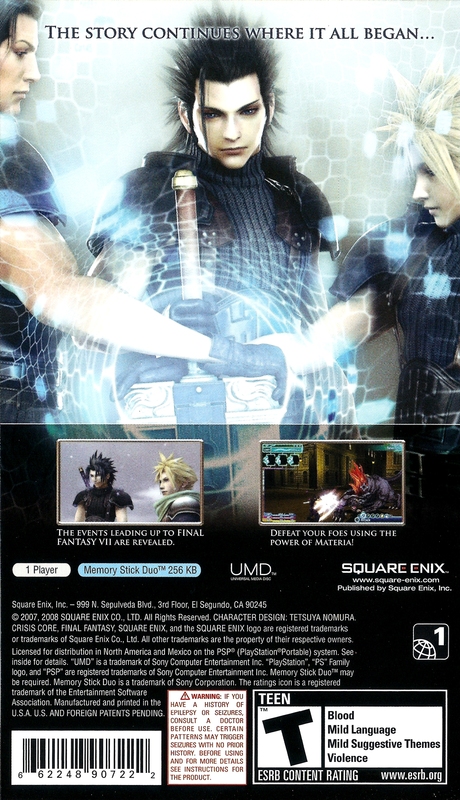 The fast-paced real-time battle system is the latest evolution of classic FINAL FANTASY gameplay Seven years prior to the events of FINAL FANTASY VII, the Shinra Company is finalizing construction of its base and symbol of prosperity: the enormous city of Midgar. 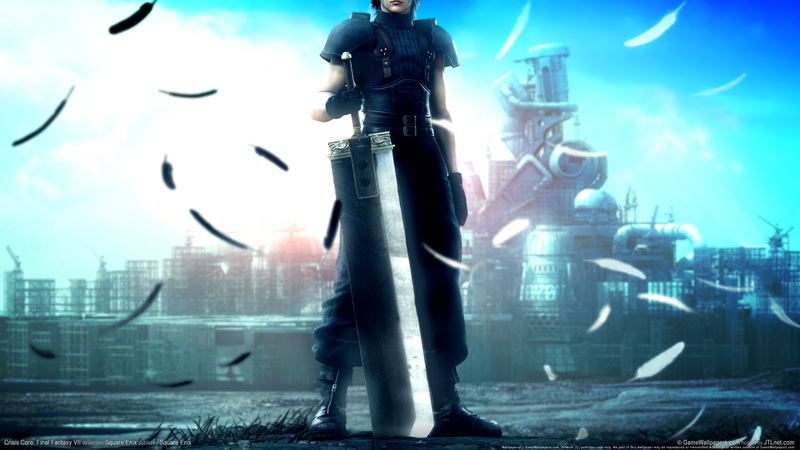 When Genesis, a prominent SOLDIER 1st Class in Shinra's private army disappears with his contingent, young prodigy Zack is given the task of seeking him out. The story continues where it all began in an enthralling prelude to one of gaming's greatest sagas.